While baguette slices cool, take out goat cheese and let it come to room temperature. Slice tomatoes into thin rounds, and cut each round in half. 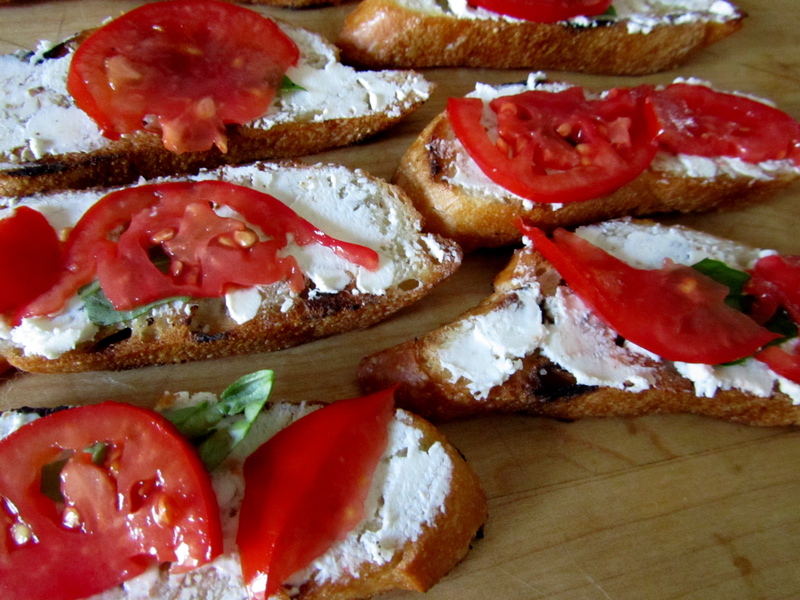 Spread each crostini with desired amount of cheese, top with basil and then tomato. Although I didn’t for this particular recipe, these would be great topped with crushed black pepper or a balsamic reduction. 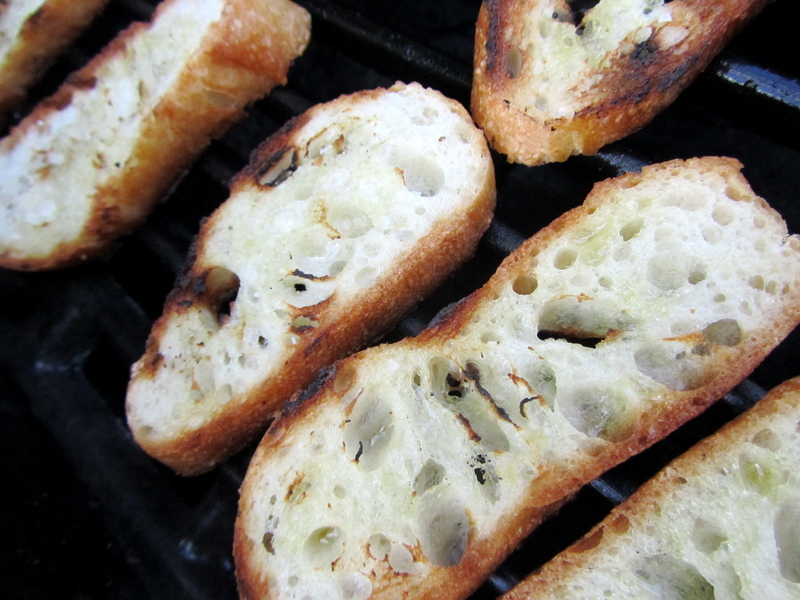 *If you don’t want to get the grill going, you can also toast the crostini in the oven. Heat the oven to Broil, and prepare the crostini the same way. Arrange in single layer on baking sheet and broil for about 5 minutes (keep a close eye on them). Turn over crostini, and broil for another five minutes until each side is golden brown. This entry was posted in appetizers, cheese, grilled, Sweet Life Laur Original, vegetarian and tagged appetizer, basil, chèvre, crostini, goat cheese, tomato by Laura Zolnoski. Bookmark the permalink.